Burglars stole $14,000 in lifesaving equipment from a Northwest Indiana firehouse, police said. COOLSPRING TOWNSHIP, Ind. (WLS) -- Burglars stole $14,000 in lifesaving equipment from a Northwest Indiana firehouse, police said. 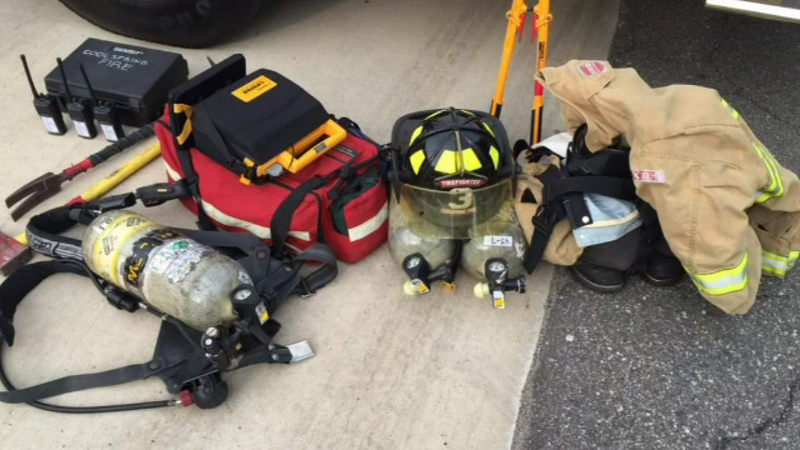 Police said the gear was taken from the Coolspring Township Volunteer Fire Department near Michigan City. The stolen items include a defibrillator and breathing gear used when firefighters walk into a burning building. The burglary was discovered on Tuesday. It happened sometime after June 20 when the fire station was last used, according to police.